Let us talk about the third dispensation today – “the dispensation of the prophets.” This dispensation presented another way of escape. If you are a prophet, there is something that happens to you. Do you know what really happens to a prophet? There are two manifestations of the Spirit of God. One manifestation is without, and one is within. God said that the Spirit of God shall be with you and also in you (John 14:16-17). That is the promise to us, but God never said it to Elijah, or Elisha, or any of the prophets. The Spirit of God would fall on them, but when the Spirit of God lifted from them, they were just as natural as the day that they were born. Amen! Why do I say that? I will give you an example. Do you remember King Saul? You know how bad he was. We see him in 1 Samuel 19 going with murder in his heart trying to kill David, but when he meets the prophet Samuel, the Spirit falls upon him and he starts prophesying. So then we see here that he did not prophesy because he was a good fellow. As a matter of fact, he was a “demon on wheels!” But he prophesied because the Spirit of God fell on him and he could not help himself. When Elijah the prophet died, it was not because he was sick. Have you ever heard of Elijah’s sickness? No. I have never heard of it either, because he was not sick. God just said, “You are going to die.” He didn’t even say “die,” He just said, “You will be taken away today,” meaning to say, “No longer will you have to depend on the earth to suffice your physical needs. No longer will you need to eat fruits and vegetables.” Somebody said the other day that you must eat your veggies and all that sort of thing. No! 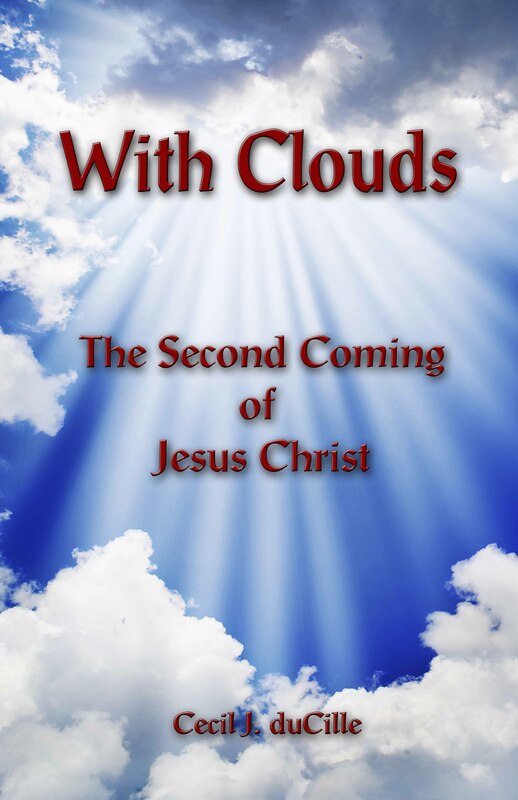 God said we have come to the stage where we are not going to be wanting any more of these things, for the rich pure oxygen of God’s holy power will be flowing through our veins, and our mortal bodies will be immortalized by the power of God! It is very simple, because we have a dual-purpose body. A dual-purpose body. And this body must live by energy. Amen! So then, the dual-purpose body that you have can have both the Holy Spirit inside of you or the Holy Spirit outside of you. But God has curtailed the outside operation. He does not do much of the outside operation because the devil can do it also. If God trained you up to listen to Him with your natural ear, then you would hear a lot of other things with your natural ears and confusion would set in. Let us look a bit closer at this dual-purpose body. If the Spirit of God floods into you, certain things will happen to you that are unnatural. Did you know that you can fly? Do you really know that? If the Spirit of God gets into you enough, the Spirit of God will cancel out gravity. I am not telling you anything that I have not seen done. I have seen it happen. The Spirit of God will cancel out the gravity that is so powerful and so natural for us. But it is not just gravity that the Spirit of God cancels out. It cancels out sin in you. It cancels out bad propensities that you have inculcated through your whole life, that you have taken from your parents. He cancels out the seat of iniquity within you. Do you know there might be a stool within you where some demon spirit sits down and feels comfortable? Yes! A rocking chair inside of your soul! The Spirit of God cancels it out, smashes the chair, and drives the devil out. But the devil feels comfortable with some of us. Not just with some of us, but with all of us sometimes. If you allow the devil to be in you, he is going to start manifesting as “God.” Many of us think that to manifest in the gifts of the Spirit exults your position in God. But the gifts of the Spirit are God working in man. It is far above the spiritual stature of the believer. Amen. I have told you already of the bad man King Saul, how he prophesied and yet it did not add to his spiritual stature. It is because the Spirit of God in you wants to do one work in you more than any other operation. He wants to take the devil out of you. The Bible says that we are “the temple of the living God” (2 Corinthians 6:16) and that we are looking for “a new heaven and a new earth, wherein dwelleth righteousness” (2 Peter 3:13). This is what God is creating: a new heaven and a new earth. Thought for today: Let the Spirit of God flood into you today so that it may cancel out sin in you. Stand Now, If You Can Stand! When Jesus Christ spoke to the disciples in the 19th chapter of Matthew, He was speaking about divorce. Let us look at that. In Verse 7, the Pharisees said unto Him, “Why did Moses then command to give a writing of divorcement, and to put her away? 8 He saith unto them, Moses because of the hardness of your hearts suffered you to put away your wives: but from the beginning it was not so.” The abundance of sin is what caused divorce. The abundance of sin causes divorce! A man has his wife, but the wife goes out and mixes herself with someone else! Immediately, she breaks the marriage bond between them. And that man is in trouble! He is in trouble! If he wants to serve God, he cannot mix himself with harlotry; if he wants to serve God, he will have to try to regain her to Christ! When you, girls, think about marriage, think about these things. When a man comes and makes a commitment before God and before the people, he must have a firm spiritual nature imbedded in him, so that you will know that he is not going to break that commitment. Young men, when you marry a woman, you must make sure that you marry someone who has a firm commitment; one who is rooted and grounded in the character of God, so that she is not going to break that commitment! Don’t try to go overcome anybody out there! You know, some of us want to overcome spirits—”We are overcomers! We command you in the name of Jesus to depart!” I tell you, the overcomer is going to overcome his body! Because the body is a wild beast that will get loose and try to control you! And it might not be in this way, but it might be in another way. One thing is for sure though: we need to overcome our emotions. Thought for today: It is time to overcome your body if you don’t want to be among those who end up on the sidelines.